Disclosure: This post is in partnership with LG Electronics Inc. Canada. As always, opinions are all mine. As you know I am a really big fan of all things LG! So, when they reached out and wanted to partner for the #LGUltimateLaundryRoom I was thrilled and of course said yes! 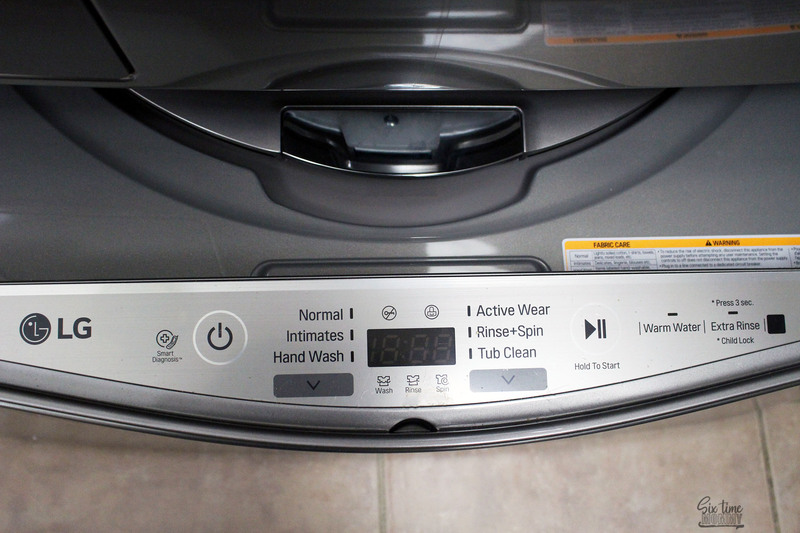 Last year, we went and learned about the LG QuadWash (you can read about that, here) and we’ve always had LG appliances in our home so it was something I was really looking forward to working on. 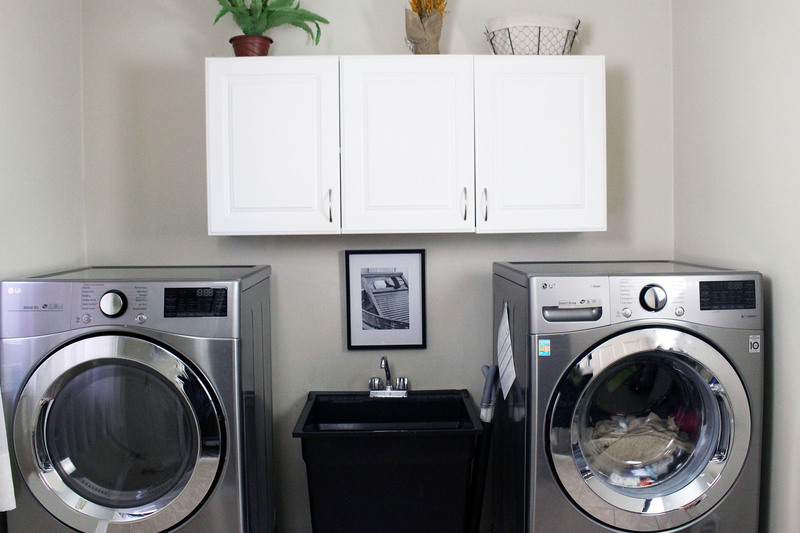 This time, we are sharing about laundry for the whole family with our new LG Ultimate Laundry Room! Laundry for 10 people is as awful, never-ending and it IS as crazy as it sounds. I know, what were we thinking? Our current laundry situation wasn’t great. We had a washer and dryer when we moved into our house but as time has gone by, we realized our machines weren’t performing as well as they should be, as we need them to be. With a house full of kids and animals we need the best of the best and now we’ve got it! Say hello to the LG TWINWash and SideKick. What is the LG SideKick you ask? We will get to the main machines here in a minute, but I need to gush about the LG SideKick for just a minute. 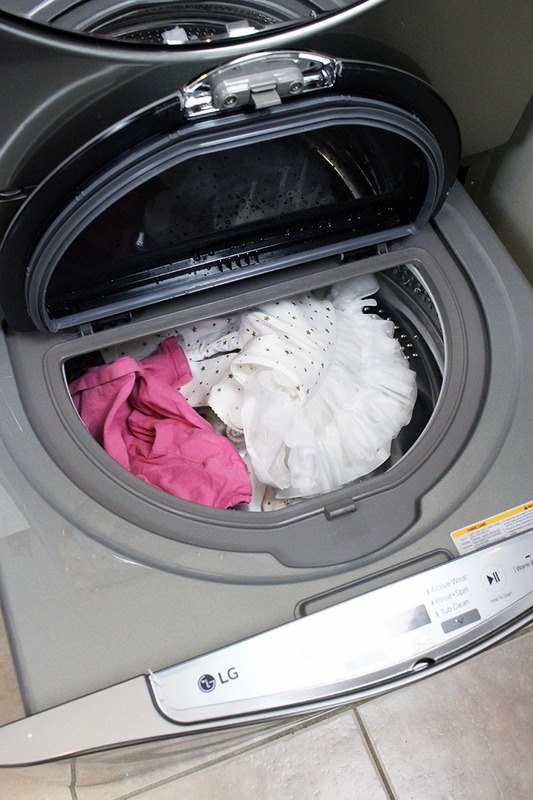 The LG SideKick is a small washer under the big washer – yes! 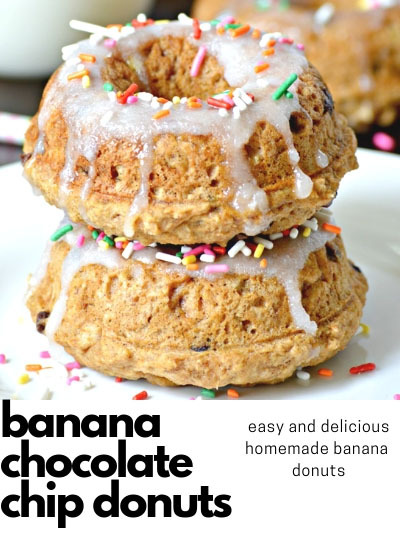 I know, is this real life? It is and it’s glorious! The LG SideKick is the perfect size for hand wash or delicate items. No need to wait you can run small loads as often as you like to stop laundry from piling up. Baby clothes, dog blankets, towels or even winter gear (mitts, hats, scarves!) it’s perfect. Yes, I’m one of those who doesn’t sort her laundry! A big turn-on with this set is you can wash big loads while cutting your wash time by up to 30 minutes with LG’s enhanced TurboWash® technology. When you are doing laundry for 10 people, it is much appreciated. The LG TWINWash™ is a washing solution that has never existed before. It is all about efficiency, helping you get more clothes cleaner in less time by washing two separate loads simultaneously. With so much laundry, we can sometimes find stray items after a wash has started. By pressing “Add Garment” on the washer you can then add any laundry from small socks to big jacket. The LG SideKick adds a whole other level to laundry for us. Having animals and a baby means we need smaller loads more often and don’t have to waste a ton of water by using the big machines when we can throw a small load on to do the same job as the big machine but in a smaller package. Also note, you CAN use both at the same time! 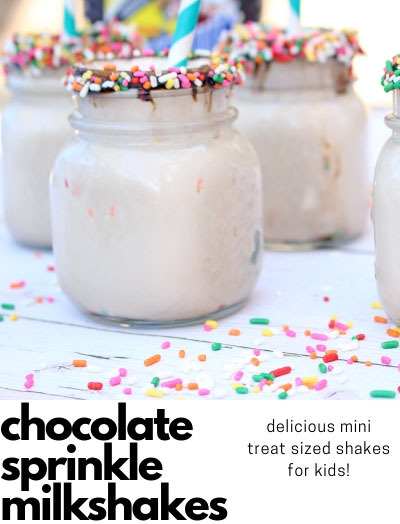 See, told you, game changer! 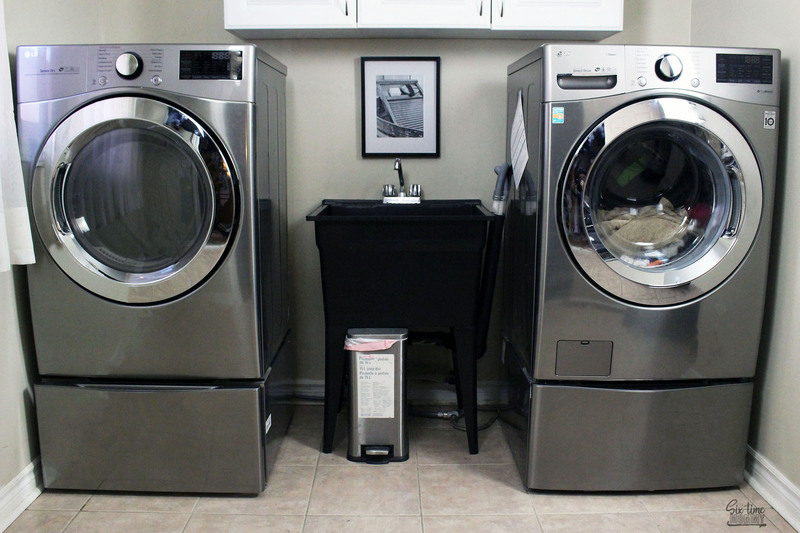 What’s an Ultimate Laundry room without an epic dryer? The 7.4c.u foot Ultra Large Capacity Electric SteamDryer™ with TrueSteam™ Technology is every Laundry rooms dream come true. LG’s TrueSteam™ Technology uses a steam generator to produce real steam right into in the dryer giving you unique cycle options that remove wrinkles, odors, static and allergens. SteamSanitary™ Cycle refreshes and sanitizes dry items in the steam dryer. The SteamSanitary™ Cycle kills bacteria on your clothes and is great for decorative pillows and other non-washable items. BUT — that’s not all! Easily change and customize cycles with a simple tap of a smart phone app. Can’t find a cycle you need? There’s an app for that. 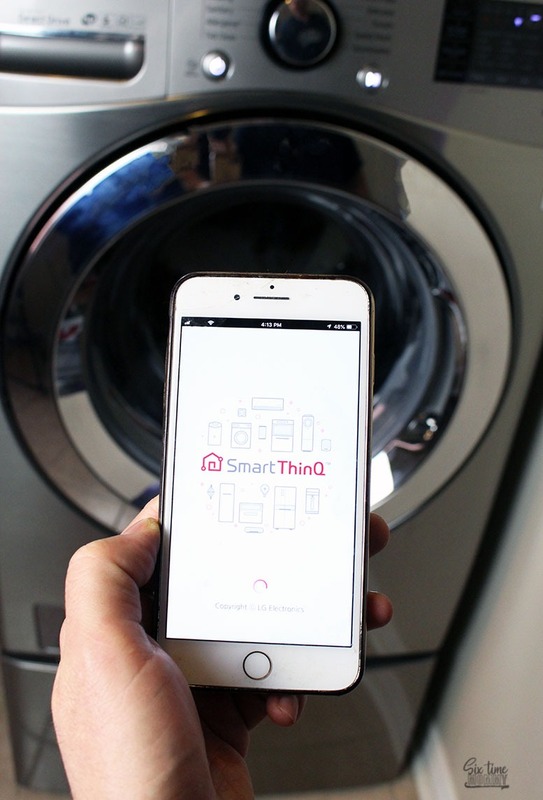 Your laundry just got a little bit smarter. There is nothing more exciting than not having to constantly check when your wash or dry cycle will be done. Thanks to the smart technology — you get notifications right to your phone! Doing laundry has never been fun, but now it’s more practical, efficient and time saving! Something I’m sure every family could stand to have change when it comes to their laundry routines.